Lester Laminack: VCR Spring 2018 Conference!! 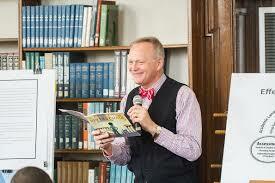 LESTER L. LAMINACK is a specialist in children’s literacy and professor emeritus at Western Carolina University. Laminack has written numerous books and articles for educators and is a familiar speaker at professional meetings and reading associations nationwide. He lives in North Carolina.